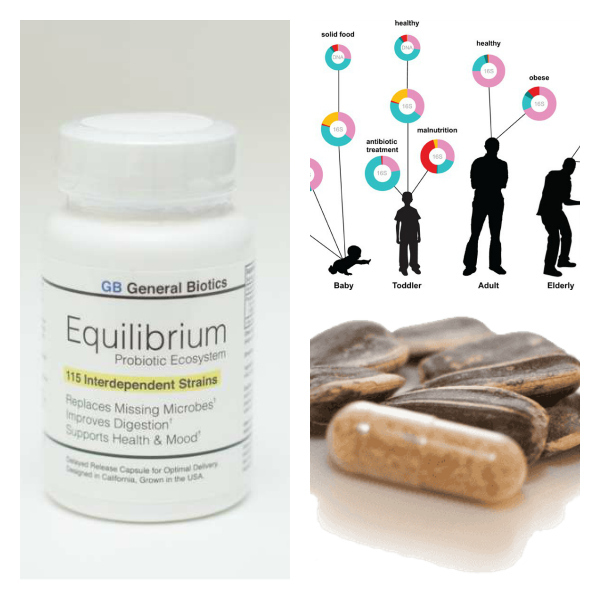 Equilibrium is a probiotic supplement that restores the dietary microbes lost as a by-product of widespread food sterilization. The product is a direct offshoot of research done at the NIH’s Human Microbiome Project, a $115 million dollar census of humanity’s gut flora. The data tells a clear story: as a society our digestive flora is dying off, and this lack of diversity has causal links to western stomach issues. Using a data-driven approach, General Biotics identified the groups of bacteria that are commonly missing from western microbiomes. GB then worked backwards from these data to locate missing dietary microbes that provide the needed function.